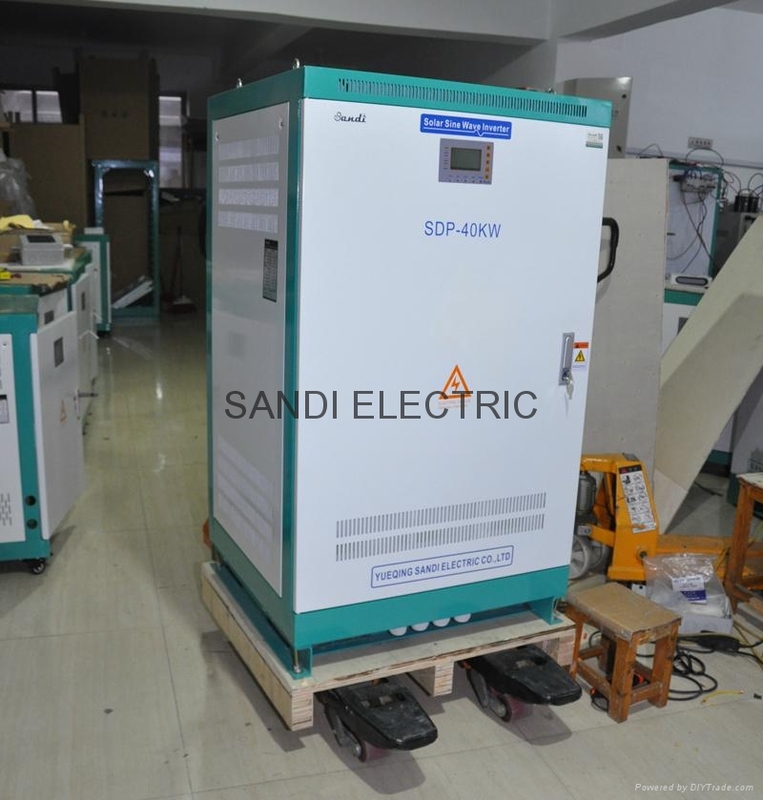 SANDI SDP series Pure Sine Wave Inverter is the one of the most advanced technology DC to AC conversion products in the world, it’s suitable use for areas without electricity, providing a complete power solution for strict demand applications. 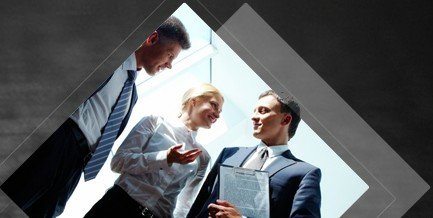 With SVPWM technology it has high conversion efficiency, high instantaneous power and low losses power output pure sine wave, applying to capacitive, inductive and nonlinear mixed-load, with superior load capacity, perfect protection function: overload, short circuit, low/over battery voltage, improper operation etc, which won’t cause mechanical failures. 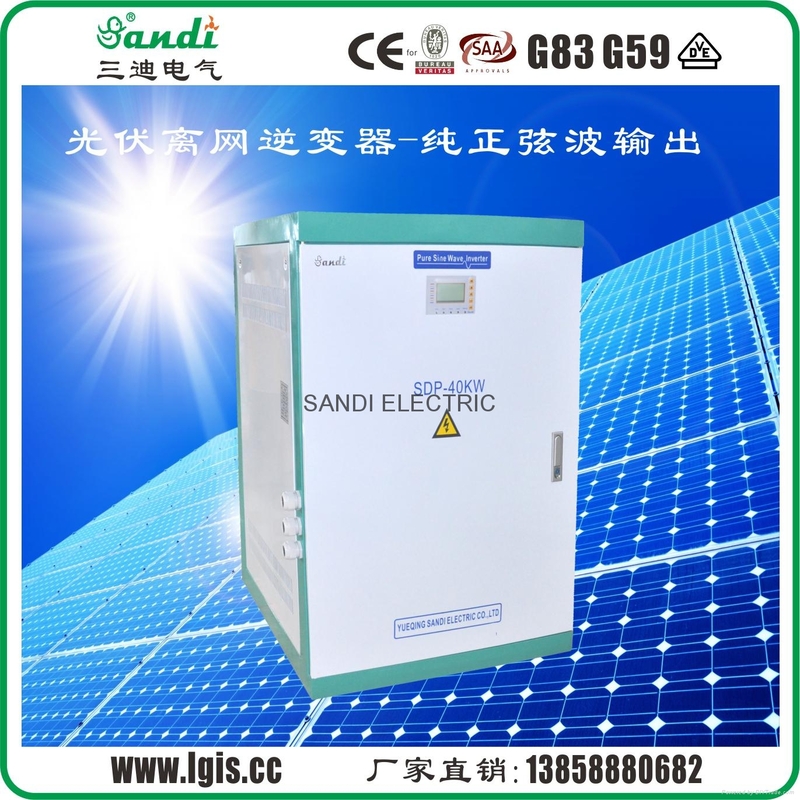 This Inverter is very suitable for solar power systems, wind power generation systems, wind and solar hybrid generation systems. 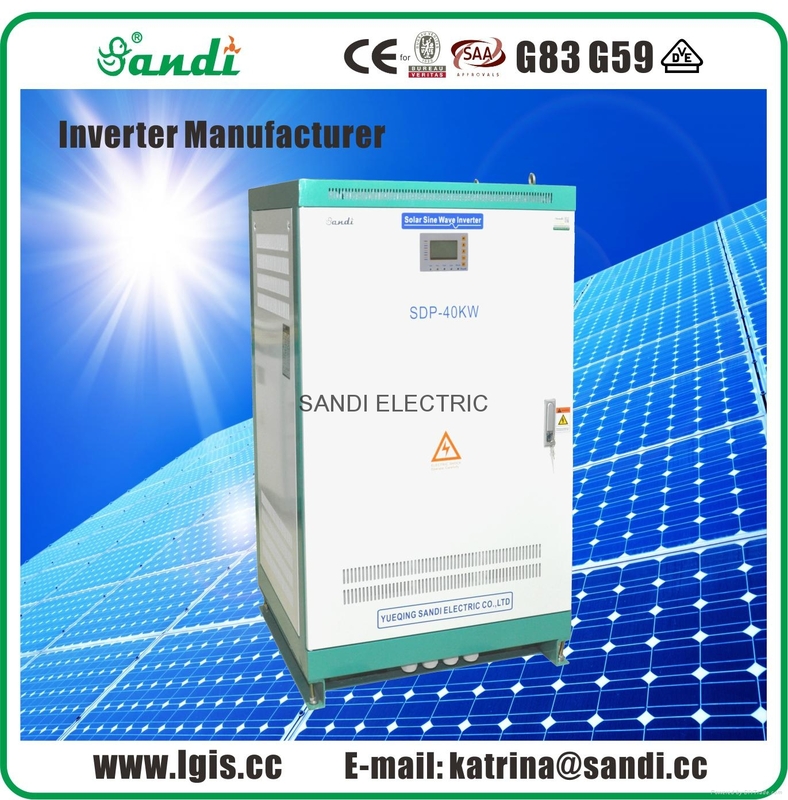 The inverter can supply AC power to all kinds of electric equipment, air conditioners, electric motors, refrigerators, fluorescent lights, televisions, electric fans and other industrial power supply. According to the product configuration conditions, adjustment the system usage mode: DC(Battery/Solar) priority or AC mains bypass priority can be set. Built-in low frequency isolation transformer, strong impact resistance, available with motors, pump, air conditioners and other high impact equipment. 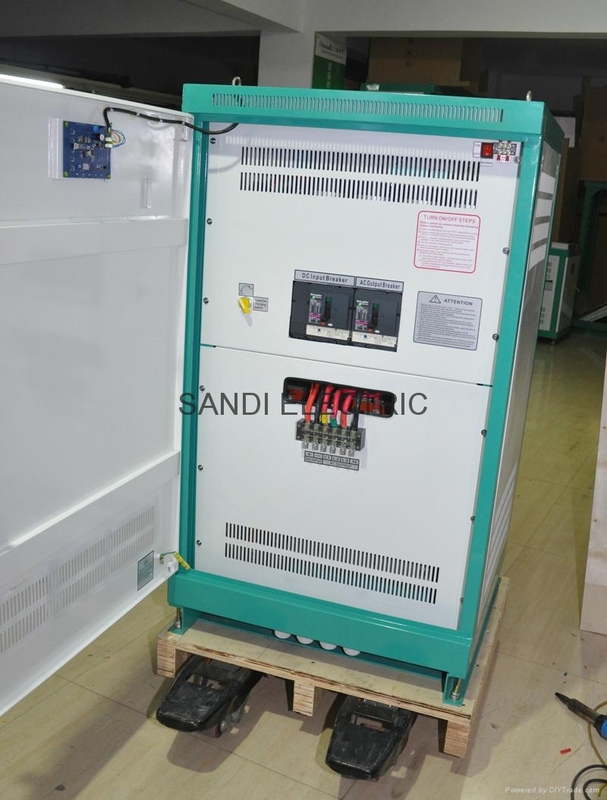 At the same time DC busbar and AC busbar are completely isolated to avoid interference.